As a shareholders, you pay an annual subscription fee and receive regular ‘farm shares’ – weekly or bi-weekly boxes of organically certified produce harvested on Amador Hill Farm and Orchard. Shareholders share with us the harvest, joys, rewards and inherent risks that are all a part of farming. Most of all we enjoy growing healthy organic produce for you and love to share recipe ideas and suggestions with you from all of our shareholders. We offer several options for your farm shares. Click here for CURRENT CSA OPTIONS. Amador Hill Farm is certified organic by the Midwest Organic Services Association (MOSA) which means that we have a rigorous third party verification process to ensure that we use no petrochemical insecticides, herbicides, fungicides or GMO/treated seeds. We certify because it helps increase the visibility of the organic farming economic sector, when farms certify, and we believe in the rigor and care required for this certification. This is your guarantee from USDA through MOSA certification that you have purchased organically certified produce. Amador Hill Farm is also a member of Minnesota Grown, Hungry Turtle Farmers Coop, Sustainable Farming Association and we are the administrator for the North Circle Online Farmers Market serving East Central Minnesota. Why do we do this? Because we care about health, we care about the land, we care about really good and tasty food, we care about the organic farming movement, and we care about our wider WEI mission of environmental, food and farming justice. Our farm is a farm and more than a farm. 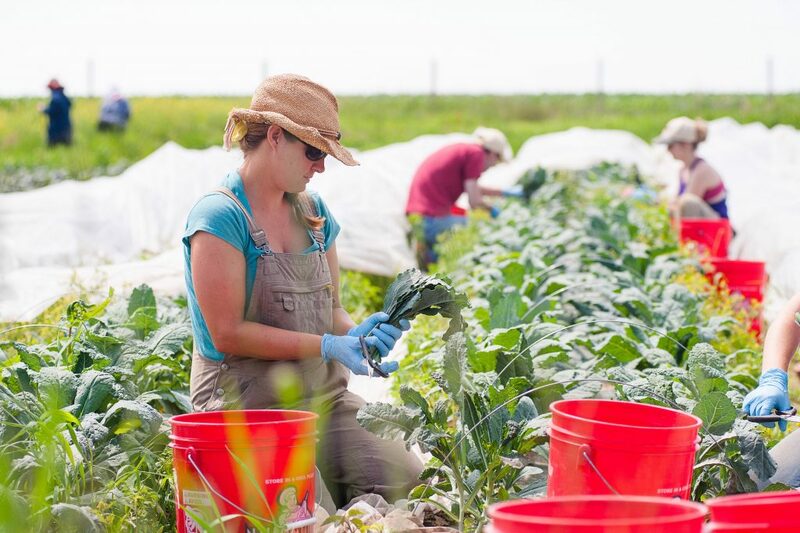 By ordering your CSA through WEI, you are not only supporting our farmers and making a pathway to your own health, but you are also helping us support our education program which centers largely on our Amador Hill Farm Campus. Living with Our Local Seasons. What to expect. Salad Greens, Spinach, Arugula, Amaranth, Sugar Snap Peas, Scallions, Swiss Chard, Collards, Chives, Garlic Scapes, Radishes, Herbs. Salad Greens, Summer Squash, New Potatoes, Carrots, Green Beans, Sweet Corn, Zucchini, Cucumbers, Kohlrabi, Scallions, Broccoli, Beets, Onions, Okra, Raspberries, Leeks, Eggplant, Herbs.